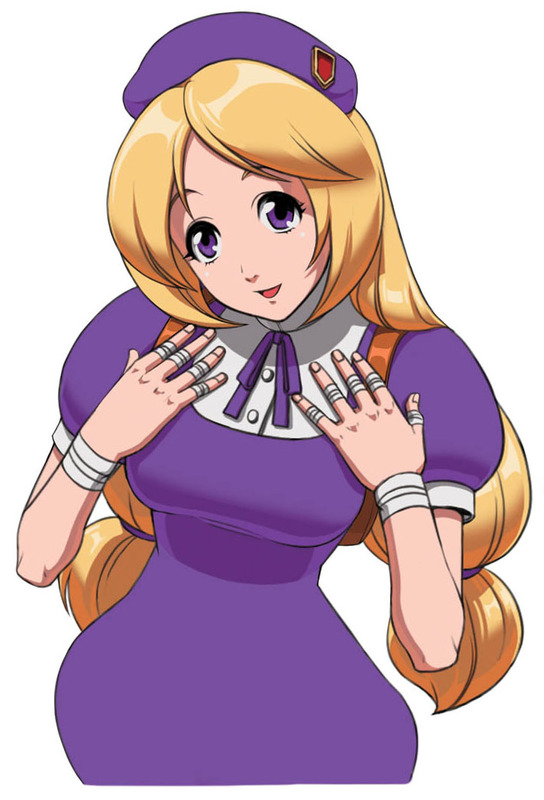 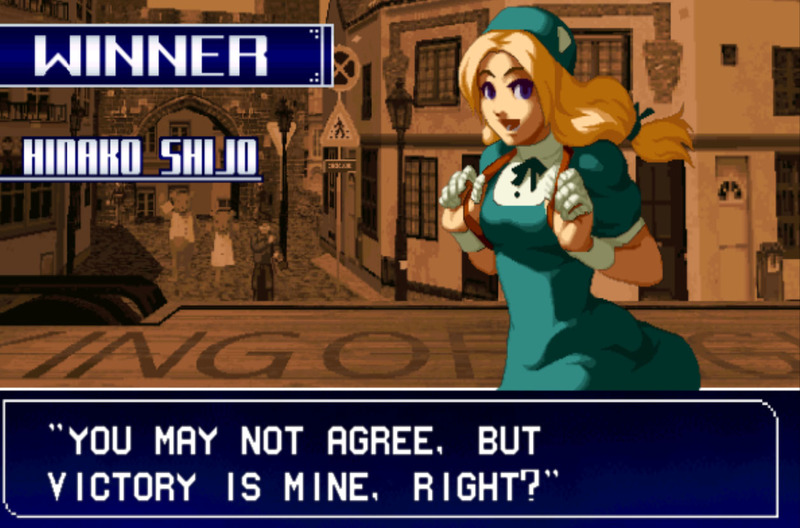 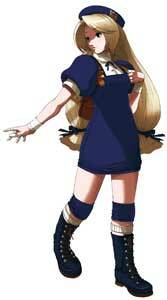 Hinako Shijou is a playable character from the King of Fighters series by SNK. 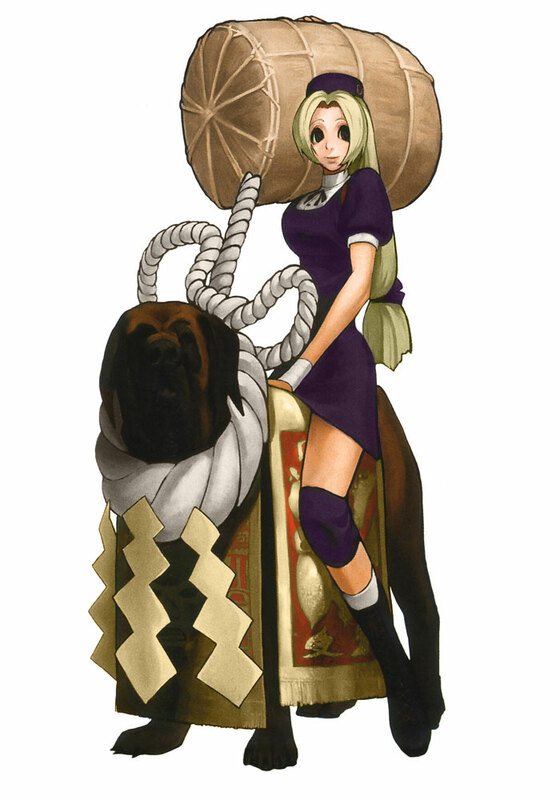 She debuted in The King of Fighters 2000 as part of the Woman Fighter Team and returned in The King of Fighters 2001 and 2003, she is one of the characters that were not in The King of Fighters 2002 but later added to The remake The King of Fighters 2002: Unlimited Match (2009). 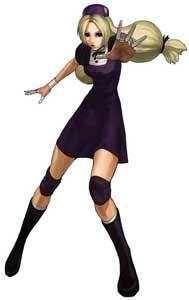 Hinako also appeared in the pachinko slot machine game The King of Fighters: Chapter of Nests (2007). 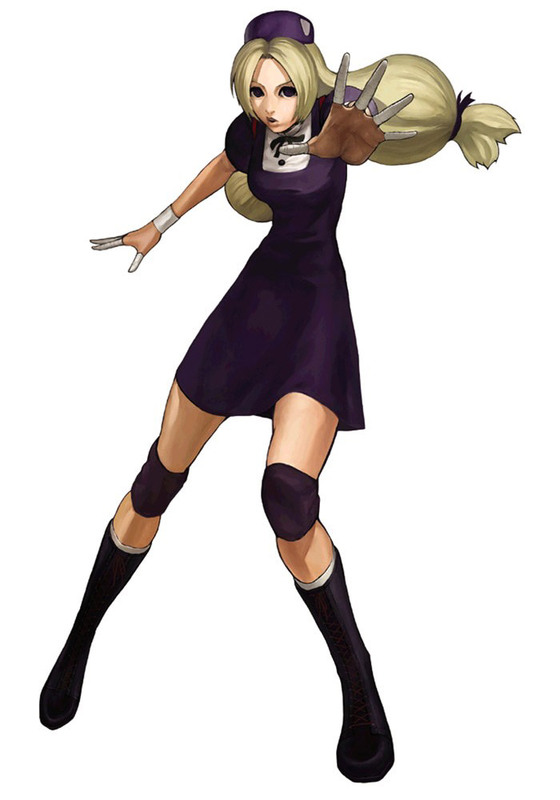 Hinako Shijou is born in Japan but half Russian, she uses the traditional Japanese Wrestling fighting style, Sumo and can throw even the biggest KOF characters like Chang Koehan around.